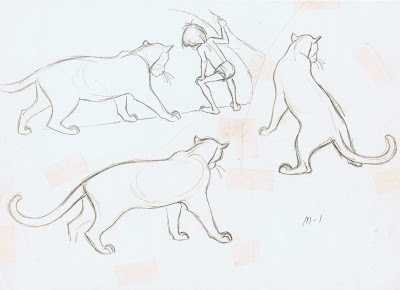 I had the chance to ask Milt Kahl how long it took him to research tigers in preparation for Shere Khan in "The Jungle Book". His answer was:"Oh...about two to three weeks. 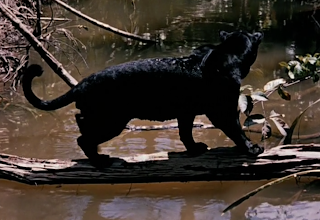 I looked at all kinds of big cats footage. We had done a picture called "Jungle Cat", I studied that film and the out takes as well. Even though it was a South American panther, who has a somewhat different built, it was close enough. 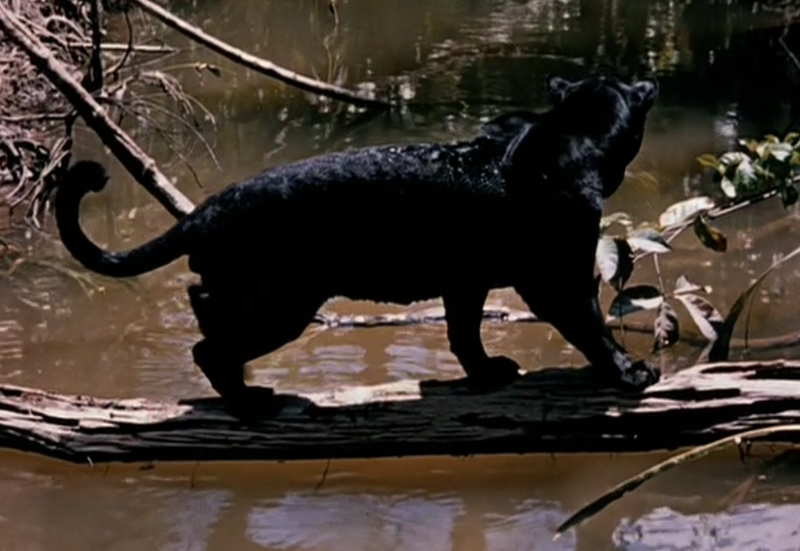 The other live action I studied was from the Disney film "A Tiger walks". 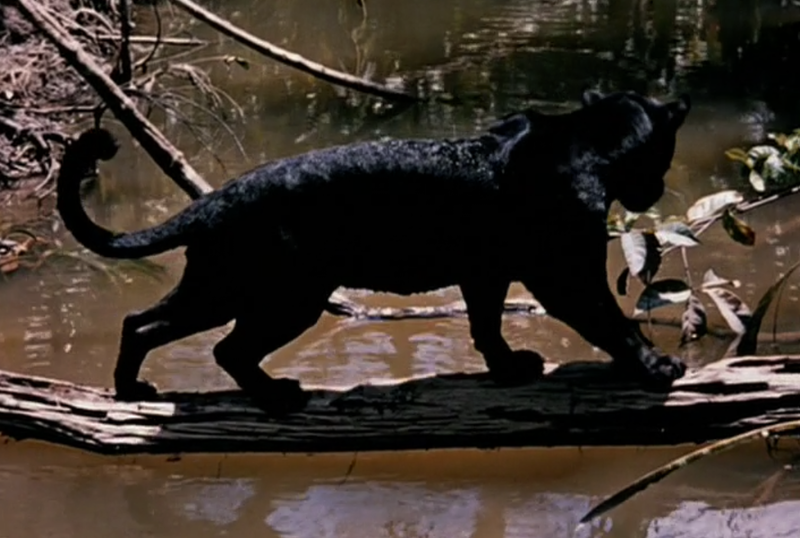 I could also apply tiger footage to Bagheera, and panther footage to Shere Khan. Those big cats move in similar ways anyway." So a while ago I took a little time to research what Milt had researched. 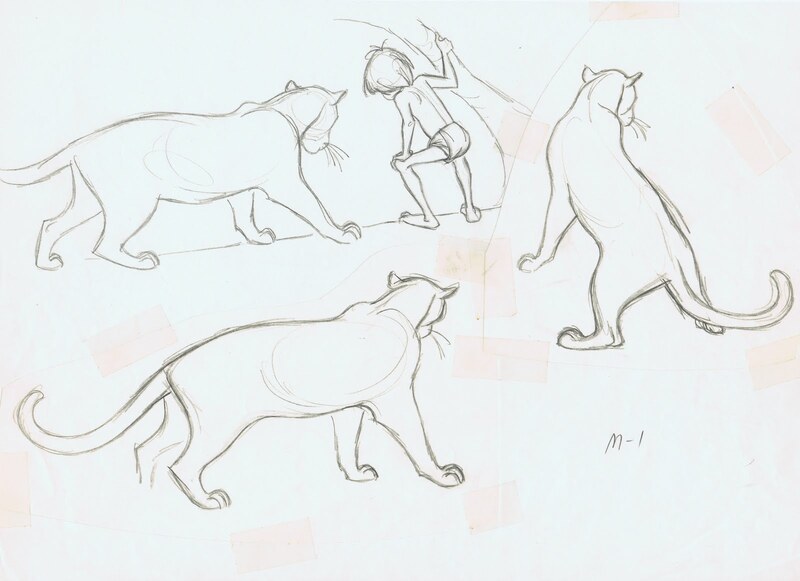 I found these two frames from "Jungle Cat" , and it sure looks like they served as inspiration for a couple of poses for Bagheera on this design sheet. At the beginning of "Jungle Cat" all kinds of large cats are introduced, including the tiger. When I saw this short scene of a tiger jumping from screen right to left, it reminded me of an animated scene in which Bagheera does the same move, after Baloo yells for help. I think it's interesting stuff , see for yourself.